﻿ Beds to make yourself, DIY instructions and free construction drawings. 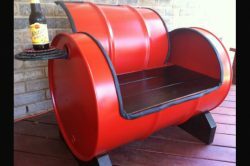 Homemade beds from repurposed materials, do it yourself manuals for wooden beds and scaffolding tube bed examples. Building plans - step by step tutorials. Beds to make yourself, DIY instructions and free construction drawings. 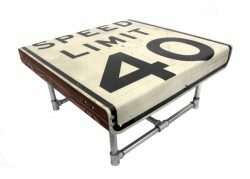 Homemade furniture examples, how to make beds from repurposed materials. 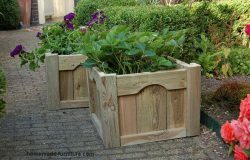 DIY examples for all sorts of beds. While we are still adding more examples, please take a look at the vast amount of homemade beds on our Dutch website. Beds for children, diy instructions. Free instructions and construction drawings for a bed made of scaffolding wood. Sunbeds and stretchers for in the garden. High sleeper for children, made with a frame from scaffolding tubes. Instructions by Ana White, nice examples how to make a bed for children and woodworking projects for a matrimonial bed. What materials are suitable for these woodworking projects? 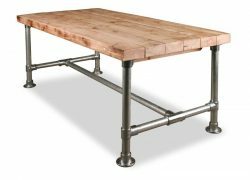 Use thick planks or tubes from scaffolding for most of these construction plans. 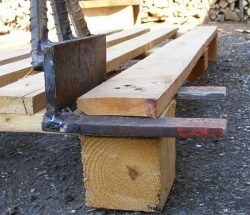 Unlike many other of our woodworking projects, planks from pallets are not strong enough. The wood should preferable not be thinner than 22mm. 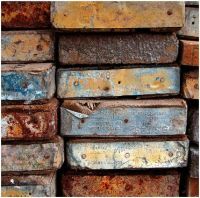 Conglomerate can be used for the headboard and footend, but solid wood is a better choice. 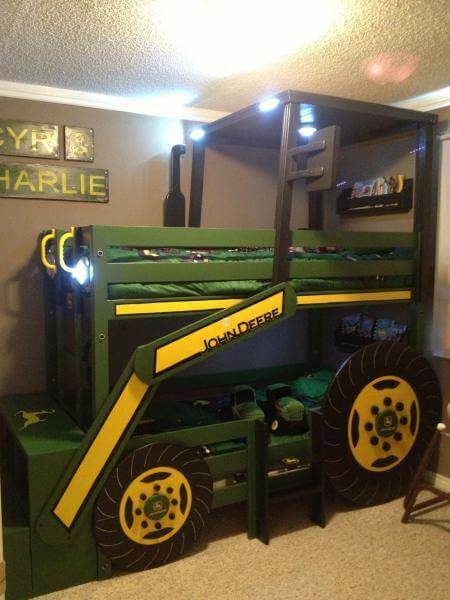 Plywood is a good and strong material, specially for a childs bed with a theme, like the John Deere tractor above. 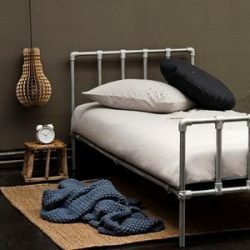 How to make beds with a frame from steel pipes. 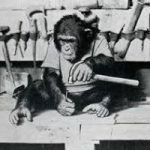 All the construction manuals and drawings are free to use. You can download the construction plans for free, but you are not allowed to sell them or use them on a website or any other publication. Beds to make yourself with reclaimed wood and scaffolding tubes. Free construction drawings for beds from wood and steel pipes. Easy construction plans and assembly instructions for homemade beds and bedroom furniture. Most of these constructions are made with tubes from scaffolding to make a frame, in combination with scaffold boards. It is very easy to make these bed frames, but do not think that these beds are cheap. 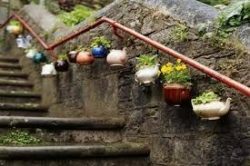 You will need a lot of Kee Klamps, and those tube connections are not cheap at all. On the other hand it is a good investment. The longevity of these galvanised tubes and Kee Klamps is great. Bed made with scaffolding tubes, free construction drawing. How can you make a bed from scaffold tubes? Here we show you how to make a strong frame for beds. The materials are scaffolding tubes and the connections are metal joinery clamps from the same scaffolds. Should I use steel or alumium as material for the bed frame? 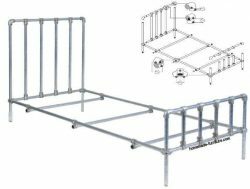 Metal frame for single beds. 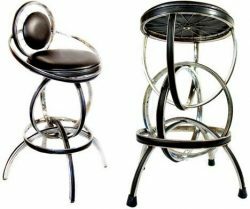 You could choose aluminium rods and connectors, these come in several colours. The aluminium scaffold tubes are more smooth, this material is cleaner than the galvanised version. 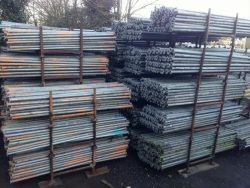 Galvanised steel tubing is however cheaper and more widely available. You can not interchange the clamps and connectors between aluminium and steel rods. 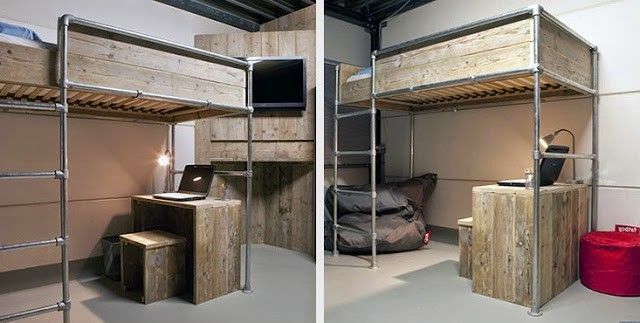 Loft bed for children, made from scaffold tubes. Scaffold loft bed, cheap and easy do it yourself construction. All materials to make this loft bed were previously used as scaffolding. 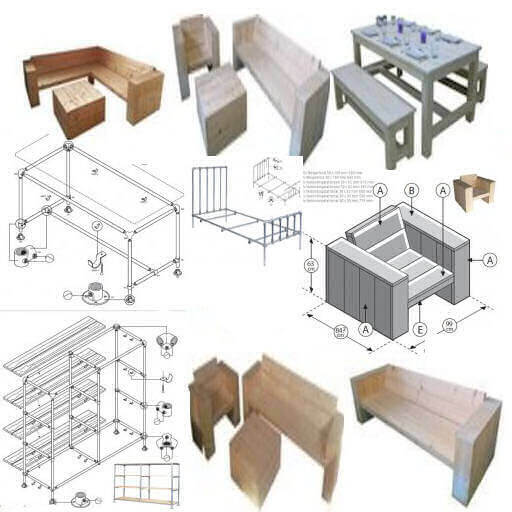 Many free plans for woodworking. 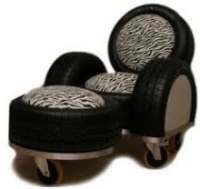 My selection of websites with great tutorials to make your own furniture.